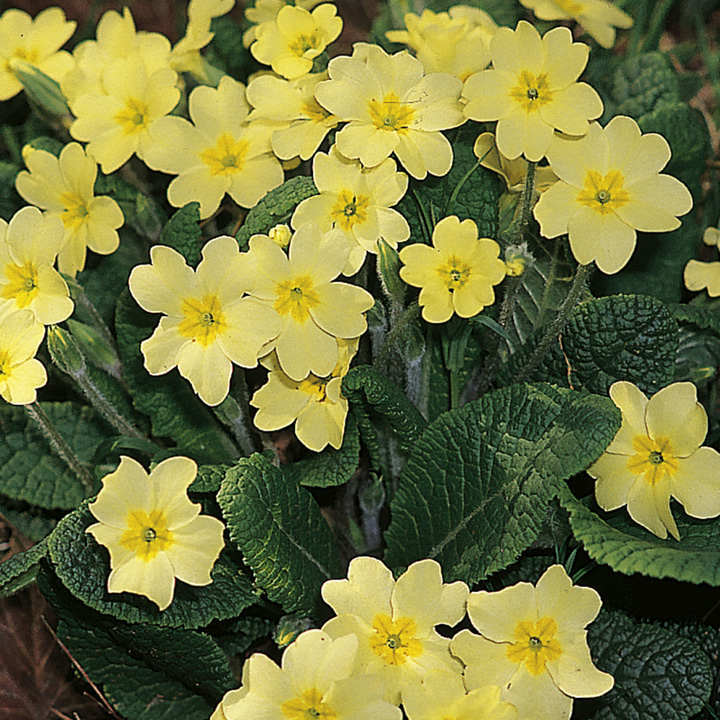 The primrose is perhaps one of our most loved and familiar native flowers, heralding spring with pretty clusters of pale lemon flowers nestling amongst rosettes of green foliage. Great for naturalising, perfect for shady areas, fast growing. Flowers March-early May. Height 10-20cm (4-8"). Available 1 or 6 potted plants supplied in 9cm pots.